My book cover concepts are in. Thank you to Elke Barter, my amazing designer!! So I’m using this month’s newsletter to talk about covers—process, how to assess what’s working and determine what you like, and also how to get the cover you want from a designer by providing them with the information they need before they start working on your designs. Elke provided me with nine design concepts, but these are my top four. I want to share what I love about these covers, as well as a few things that aren’t working and slight fixes I’ll ask Elke to make. CONCEPT 1. I love the composition of this one. The image is compelling, the design simple. The red of the bookmark picks up the red in the title nicely. I also like the hierarchy of the title, subtitle, author name. The positioning of my name under the book is well-balanced. The only thing I don’t like about this concept is its subtle energy. It’s beautiful, but perhaps a bit understated for my taste and personality. I want a cover that really conveys who I am. 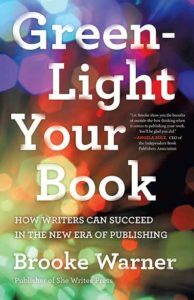 Also, the book looks like a well-worn novel, which while okay, doesn’t exactly speak to what I’m driving for, which is getting you, my audience and clients, from idea to publication. The image needs to be something more sleek and a little less used. CONCEPT 2. I love the type treatment on this one. I’m a fan of red, and clearly Elke picked that up from my cover transmittal, which I share here at the bottom of the post. The title jumps out at you, which I also really love. In this concept, the subtitle is a little small. Because my subtitle is important, I would ask that it be a little bigger. I also don’t like that my name is at the top of the cover. This is a personal preference, but I prefer the treatments with my name at the bottom. While I love the single image and the placement of this image, I’m not sure this is the exact right image for the cover. I’m on the fence about it, though. I like that it’s reaching up and that there’s a stack of books, but my concern is that it’s not immediately readable as a stack of books. And they look a little like journals rather than published books. However, the overall impact of this one is powerful and it’s probably my top pick. CONCEPT 3. I absolutely love the type treatment on this cover, and the simplicity of the entire design. 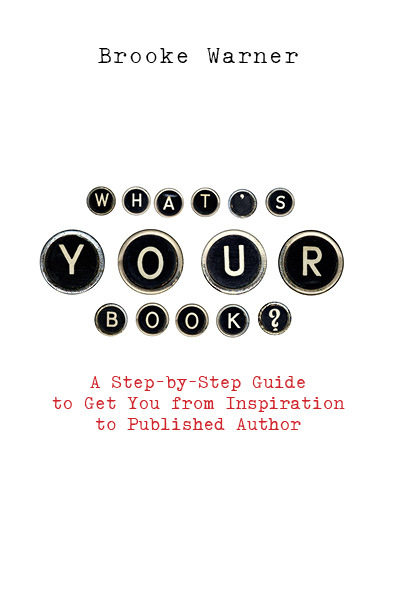 In this design, your eye is drawn to the title, and the fact that PUBLISHED AUTHOR is so big is a plus. If you are an aspiring author, you will take notice of those words. Because of how central this image is, my name at the bottom feels like a bit of an afterthought, or like it’s awkwardly tacked on. I would probably at least suggest that it not be red, but black. I think this is a beautiful design, but I do have a concern with the fact that there’s no book. I’m not sure the torn paper holds the same promise that some of the other images do, since they allude more strongly to the promise of a book at the end of reading this book! CONCEPT 4. I think this one is very clever. I love that Elke thinks outside the box and this cover appeals to the part of me who loves symbolism and meaning. I like the silver around the edges of the typewriter letters. I also really like the typeface. This one is also subtle, but it’s powerful—more powerful to me than the first treatment, in part because of the colors and in part because of the history and meaning of typewriters to authors. It doesn’t feel old-fashioned either, even though typewriters are obsolete. In this treatment I’m actually okay with my name being at the top of the cover, but I would want to ask to see what it looks like if it were at the bottom. I would also ask for the type size of the subtitle to be a little bigger. It wouldn’t matter to me if it were a little unbalanced—again because of the importance of what the subtitle promises. If you have a subtitle that doesn’t hold much of a promise or a delivery, its size is less critical. 1. Make a list of 10 adjectives that describe this book. It may be helpful to narrow the list after reviewing all of the questions. 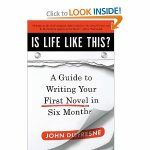 Self-help, upbeat, fun, informative, interesting, light even though information-packed, inspiring, connecting writers to their dreams, inspiring, motivating. 2. List 5 adjectives that do NOT describe this book. 3a. 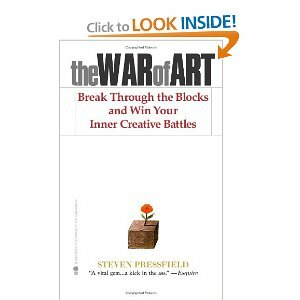 Which book is your primary competition? Pick your toughest. 3b. Which other books out there are most like this book? Make a list for visual and for content competitors. Really any book on writing but I’m attaching a few covers (see below) to this transmittal to see a range of ones I like/admire. 4. What makes this book different from what is out there now? What is the unique selling point? Why would someone buy this book instead of others similar to it? The biggest point that’s different is that I’m encouraging. I rely on inspiration and really using coaching techniques to help authors. I have an iron fist in a velvet glove. I can tell it like it is but still inspire and encourage. 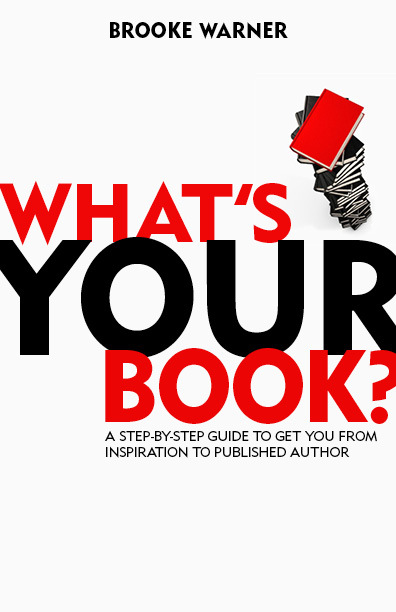 I want people to tap into their innermost desires to become an author. 5. What are the major strengths of this manuscript? My encouraging, upbeat voice; my absolute belief that anyone can become a published author; my desire to help; my real information-giving. There’s a real takeaway here. a lot of value! 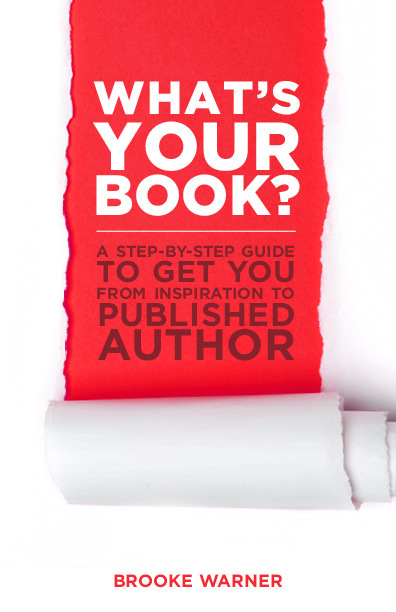 6. Who do you want to buy this book? Describe them in detail (men/women/both, age range, hobbies, lifestyle, especially unique characteristics). Anyone who wants to write a book. I don’t want to specifically have this oriented toward men or women, or even novelists, memoirists, or self-help people. It needs to be for anyone with an idea. 7. 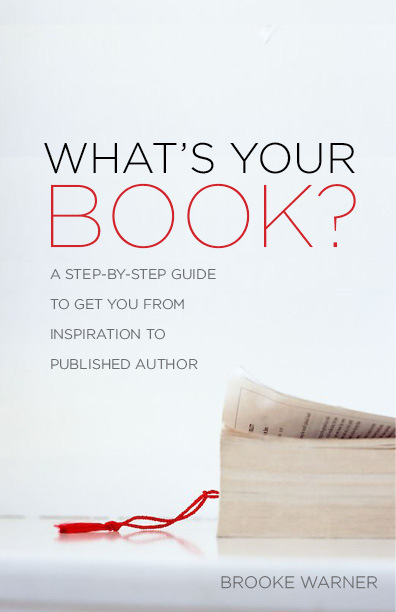 What do you want your reader to get from reading this book? 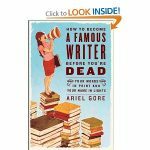 Real tips on what they need to do to finish their book and to get it to a place where an agent or a publisher is going to want to take it on. Understanding about how the industry works and best practices. All easy-to-digest and delivered in a really upbeat style. I would like it to be modern and clean. Please see my website for inspiration: www.warnercoaching.com. I would describe the site as modern, clean, and elegant. I don’t need the book to mirror those colors, but I like the color scheme. I’m a fan of red. It says bold to me, and I’m into challenging writers. I’d be open to an all-type treatment. I’d like it to be inspiring without looking New Agey. I like the idea of dreaming big and aspiring to your goals and self-reliance and all that good stuff, but I don’t like the idea of dreaming being associated with clouds or thought-bubbles. 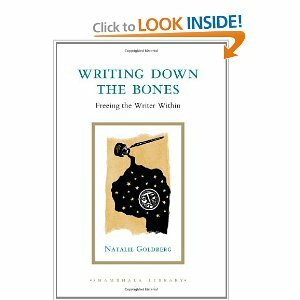 Writing Down the Bones, by Natalie Goldberg. This one is so famous but what even is this image?? I do like the clean lines here, but the overall effect is pretty boring. I really like this cover: single small image and bold typeface. 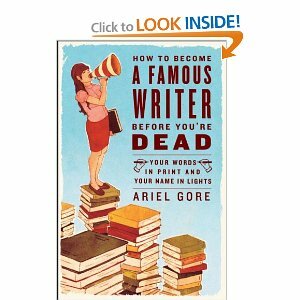 How to Become a Famous Writer Before You’re Dead, by Ariel Gore. I’m a fan of I like the energy behind this one, but it’s a bit girly for my taste. If you’d like a copy of a book cover memo template, email me. I’m happy to give you a copy. Brooke I love the cover with the typewriter keys, I think its the best one out of the bunch, love how the keys look. Maybe you can have your name on the bottom of the cover. I am nowhere near looking for a cover yet but I still dream of that day and have ideas of what I want.